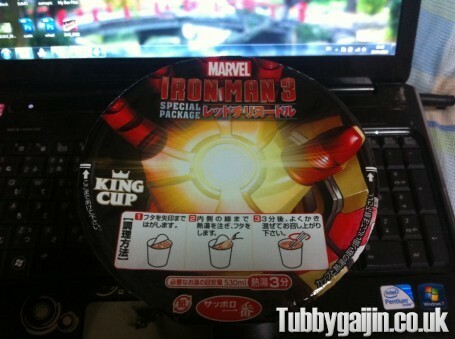 Tubbygaijin.com » Iron Man 3… noodles? 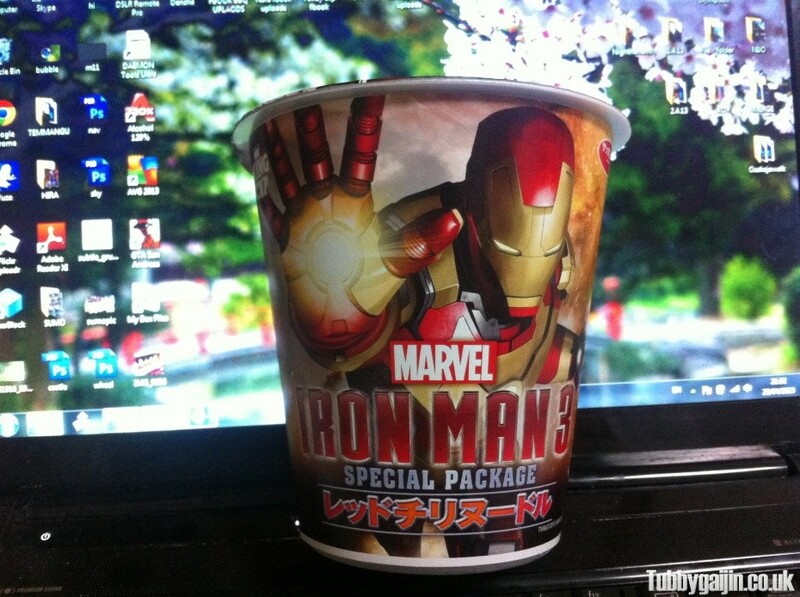 They love a good movie tie-in food product here in Japan, and the upcoming Iron Man 3 is no exception. 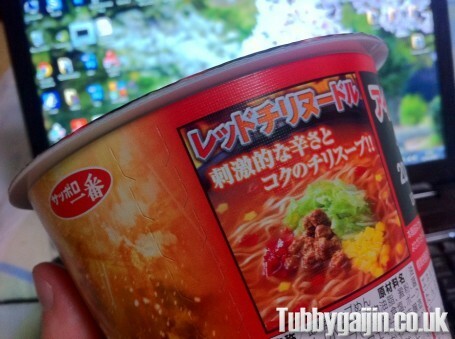 I spotted this gigantic tub in Lawson earlier today, it’s full of red chilli flavour noodles, which I suppose is a pretty good choice considering Stark’s armour colour. I have to admit they were delicious, and very spicy! I can’t remember the exact price but they were less than 300yen, which is ok considering the size. I’ve been an Iron Man fan for a looooong time, and I really hope the new movie is good, the second was a bit of a disappointment and the anime was so lifeless I didn’t manage to finish it.